Anxiety. 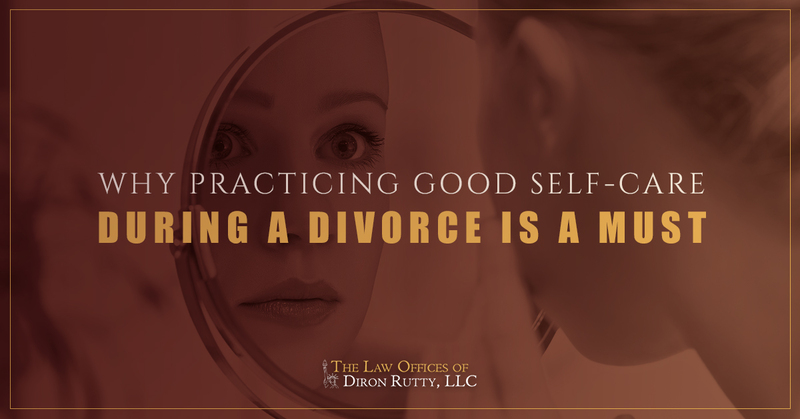 This is no surprise; the changes that come with divorce can leave you feeling uncertain and anxious about what the future holds. Drastic weight changes. That weight change might either be dropping weight because you don’t feel like eating or gaining weight because you are using food as a comfort. Neither are healthy. Metabolic syndrome. This condition can lead to an increased risk of stroke, heart attack, and diabetes. It develops when there are a number of serious health issues occurring in the body at once, including high blood pressure. Depression. Your life is changing completely, and it can take time to get over the end of a marriage. Sometimes, though, the feelings of helplessness and failure can become full-blown depression. Cardiovascular disease. It’s more common in woman than in men, according to the article. Some of the reasons could include that stress causes more inflammation in the body, which can affect the heart. Substance abuse. You may find yourself turning to the bottle or other substances to deal with the pain of divorce. Insomnia. It’s more than a lack of sleep. Insomnia can put you at a higher risk of accidents and injuries, not to mention an increase in your risk of heart attack or stroke. It could make you more prone to depression and anxiety as well. Chronic health problems. People who have been divorced are more likely to experience chronic health problems like diabetes and back pain. It’s could be linked to their increase in stress. Going through a divorce is hard enough; you shouldn’t have to deal with health concerns on top of it. That’s why good self-care is so important when you are going through a divorce. Doing what you can to lower your stress levels will help you manage the process in a healthier way, helping to prevent complications both mentally and physically in the future. You are going to be feeling every possible emotion. You might feel angry, sad, frustrated, or even relieved and happy at times. It’s important to learn how to deal with all of the emotions that you are feeling. It’s okay to feel them; they are a normal part of the process. However, you need to make sure that you are processing them in a healthy way. It might help to speak to a counselor about your feelings, talk to a friend about it, or even join a support group where you can discuss your feelings with others who are going through the same situation. It can help to create a plan for your divorce. Think about what you want to do with your current home, create a list of tasks that you need to do in order to separate your finances, and consider how you’d want to split your belongings. Having a plan can help you feel like you are in control of a situation that might, at times, feel chaotic. Creating checklists of items to do can help you stay focused and accomplish everything that needs to be done without feeling overwhelmed. Setting goals can help you start to look towards the future. Maybe you’ve always wanted to learn a certain skill, live in a certain area, or travel to a new country. Creating goals will give you something positive to focus on and create opportunities to fill your time in a healthy way. Plus, you’ll start to envision your life after the divorce is complete, which can be helpful and give you a positive idea of what your life could look like in the future. Take time to enjoy activities you love. It’s tempting to hide away during a divorce. While taking breaks from your social calendar are healthy and might be a necessary method to help you relax and recuperate, you should try to make time for fun activities. If you’ve always loved running, continue to run. If you love going out with your friends, continue to go out with them when they invite you. It can be difficult to make the choice to get up and go out, but you’ll be glad that you did. It can help remind you that life will go on and there are still a lot of great things waiting to be enjoyed! You’ll need your family and friends around you during this tough time. Don’t be afraid to tell your trusted circle of friends and family what’s happening in your life. Let them know that you might need some extra support for a while, and then let them help you. That might mean bringing you a meal, cleaning your house, or even just hanging out and listening over a cup of coffee. Create your support network and rely on them when you need to do so. One of the best things that you can do for yourself in the divorce process is to hire an experienced divorce attorney. Your attorney can take a lot of the stress off of your plate. They can handle communication with your partner and their legal representatives, files the necessary paperwork, and negotiate on your behalf. You can focus on the future while your attorney handles the business of the divorce. They’ll work with your best interests in mind and help you achieve the best outcome for your situation. Are you looking for a family law attorney in New York? Get in touch with Diron Rutty, LLC. Our law office offers free consultations, so you can learn more about our services and see if we’re the right team to help you through this difficult time. Give us a call or contact us through our website to schedule your consultation.